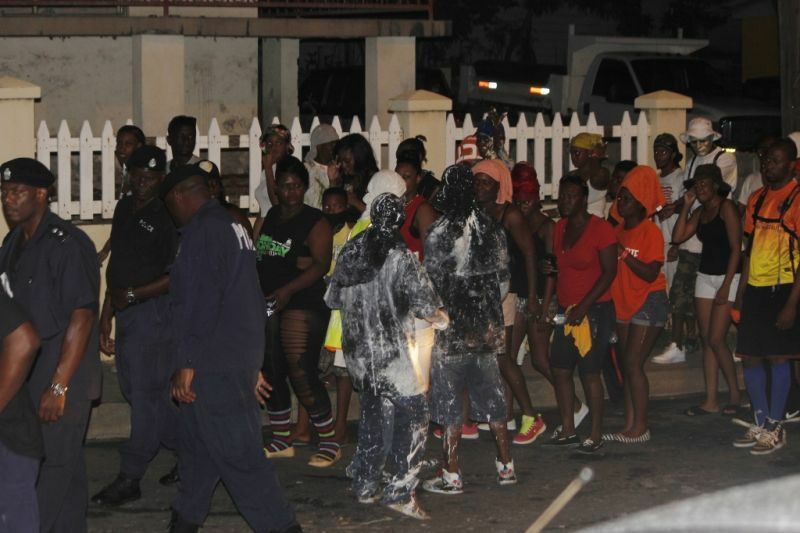 ROAD TOWN, Tortola, VI- The parades for Emancipation Festival this year were labelled as poorly supported with the lack of troupes, floats and spectators as compared to previous years. One of the main reasons blamed for this is the continued late start to the parades. The Festival parade in Road Town on August 3, 2015 didn’t get started until 3pm, some three hours after the scheduled start. The parade in East End on August 5, 2015 didn’t get moving until after 6pm, some four hours after the scheduled start time of 2pm. Speaking on the Speak Out BVI Show on ZBVI 780 AM on August 11, 2015 while a guest of host Douglas Wheatley, Clarence ‘Boogie’ Freeman sought to do a post mortem of the parade and the poor support. According to him the late start to the parades discourages persons from coming out and having to wait long hours. More so, he said the late starts continue to discourage persons from St Thomas and St John, USVI to participate as well as view the parade since there is not a ferry service in place to take persons back after certain hours. He further said children especially suffered as there were some who were out to view the parade since in the morning hours. Boogie also suggested that the Rise and Shine tramps not be held on the same day of the parades as that is one of the main reasons why the parades fail to start on time. “The Rise and Shine in the mornings take a lot out of the people taking part in the parade. So what I would suggest to them is to have the Rise and Shine a day before the parade so when you say the parade starting 10 o clock everybody should be there for 10. Asked to comment on the participation by host Douglas Wheatley, Boogie only said the parades were “not like in the past, there were lots of changes. The troupes and floupes were not what they used to be. The new chairman is to blame. Leh he move he rarm. "So what I would suggest to them is to have the Rise and Shine a day before the parade so when you say the parade starting 10 o clock everybody should be there for 10." This minister looks like he wants to change our territory. Take your time young man. Remember there are people who hold these islands dear to their hearts. You should talk with Virginislanders. What tramp. Go St. Thomas, St, Croix, St. Kitts, Antigua, you see tramp. If people were tramping and having fun I would agree for it to move...More walkers, more watchers than trampers. The Problem with the parade is proper organization and proper order. This parade can start at 2pm and done by 6pm, the big gaps are the problem. I will volunteer next year. Who can I check? We need more Trucks, more generators, more bands, more troupes. I have a plan. Whatever!, just leave my three holidays. I used to go village when it was free. Never went to a pay village yet and never will. As someone said mare walker and gawkers than revelers and trampers in the parade. St. Thomas used to have that problem, but that has been corrected by starting with or without the people who are particpating. How would you like to pay all that money for a costume and not be in the in the parade. Think about it. I came up for the parade and was a little disappointed with the late start. I came back up on Tuesday for the Horse Race and that was also disapointing. With the money that is generated from this celebration there are are a few issues that need to addressed. And that departure tax can take care of some of your fincial woes. Move it people need to learn you go rise and shine and cant make it back the road for parade now tell me how can the committee start a parade with no trucks or people tell me. if I a member of the committee can go rise and shine to work go home bathed and back down the road for 11 why cant the people who in the parade do the same. there cant cuz their home trying to get some rest if you cant go all out then don't go rise and shine.